Angelina Jolie reprises her role as globe-trotting adventurer Lara Croft in this sensational follow-up, arriving on 4K Ultra HD for the first time ever. 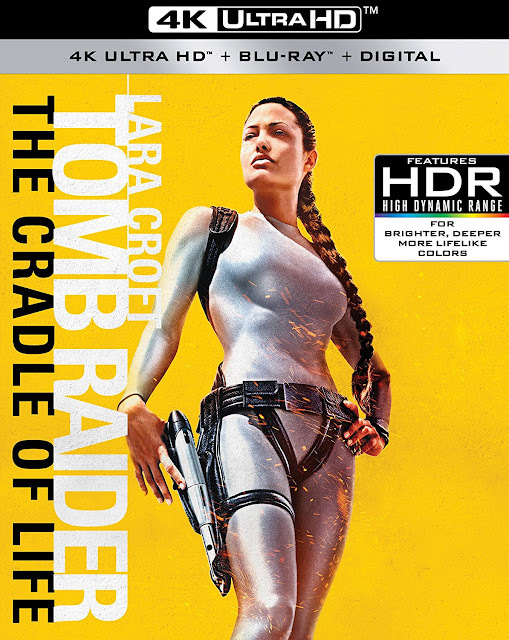 LARA CROFT TOMB RAIDER: THE CRADLE OF LIFE finds the resilient adventurer on a new mission to carry on her deceased father’s work as an archaeologist and antiquities hunter. This sequel was directed by Jan de Bont, director of Twister, and Speed. Near the island of Santorini, and earthquake has revealed a great find -the Luna temple. The Luna Temple is the place where Alexander the Great stored his most prized treasures. Inside the temple, there is an orb that can revel location of the Cradle of Life, and in turn, Pandora’s box. Lara (Angelina Jolie) wants to find the box because of its historical significance. She races against Jonathan Reiss (Ciaran Hinds) who wants to use it as a weapon. 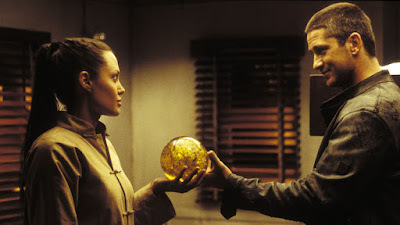 Reiss hired a Chinese gang known as the Shay-Ling to recover the orb. The Shay-Ling steal the orb moments after Lara finds it and she will stop at nothing to track them down. Lara reluctantly enlists the help of Terry Sheridan (Gerard Butler), who is currently in prison. With the help of MI6, she arranges his release so that he will lead her to the Shay-Ling. 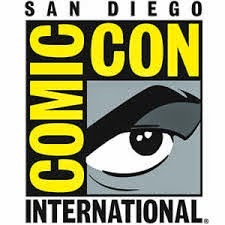 Lara and Terry have much history and her employees/friends Hillary (Christopher Barrie) and Bryce (Noah Taylor) are displeased with the idea of them working together. Lara and Terry head off to find the Shay-Ling to get the orb back and save the world. 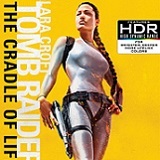 The Cradle of Life is a predictable but entertaining continuation of the Lara Croft story. Although the first film had its share of adventures, the story had an emotional tie related to Lara’s missing father. This is simply a treasure hunt. I realize that she would have had many adventures and they all don’t have an emotional connection but this story was lacking that tie. The fact that some of her partners were killed could have been her driving force. Maybe it was supposed to be and it just doesn’t come across that way. This is an okay movie, not a great one. Not helping the story is absurdities like Lara cutting herself to attract a shark to give her a ride. Lara Croft Tomb Raider: The Cradle of Life already transferred pretty well to UHD. The film has a muted color palette so you don’t have colors jumping off the screen in either version. Detail and clarity are above average and the film looks good in daylight and underground. You might appreciate the darker scenes the most but would only see a big upgrade if you compared against Blu-ray quality. It’s hard to determine if the overly tanned skin tones were intentional or not. The 4K presentation offers a 5.1 DTS-HD Master Audio track similar to the Blu-ray. Sound effects are a prioritized over dialogue which can require you to adjust volume during the film. There are moments that make good use of surround sound. Gun fire and explosions are authentic and you’ll feel your subwoofer as rocks crumble. Deleted/Alternate Scenes – Just under 12 minutes of cut scenes with optional commentary. Training – Angelina Jolie and stunt team explains how her fights in the first movie were too easy and how they took it up a notch with this film. Vehicles and Weapons – A look at the Rubicon Jeep and its modifications as well as guns and rifles seen in the film. Stunts – Stars are interviewed about the action sequences which include sky flying. Scoring – Composer Alan Silvestri discusses the tone he created specific to the character Lara Croft. Gerard Butler’s Screen Test – Angelina Jolie is heard off screen running lines as Gerard Butler tests to earn the role. Which Tomb Raider you prefer depends on what you’re looking for. The first film has more heart but the section has more action. If you’re just looking to see one of Lara’s adventures and you like the bigger budget feel, go with #2. Tomb Raider will be in the theaters this weekend, so it’s a good time to watch both and decide which Lara Croft you prefer.